I keep work, hobby and private strictly separated and thus communications which try to come through the wrong channel are silently rejected. Thus please use the proper channels. My preferred way of contact is per email at: Jeroen Massar <jeroen@massar.ch>. While I am present on various social networks, email is a much better way to contact me as I do not regularly check social networks. One can also use the vCard containing my contact details or scan the QR Code on the right. Like most other people I don't like spam, as such that address is filtered by the excellent SpamAssassin. The policy is set to reject all viruses and spam during SMTP-DATA thus I won't see them but the sender will receive a NDR indicating that it was rejected and the reason why. PGP signing and encrypting your email ensures that the message passes. Don't forget to publish your PGP key in the PGP Keyservers if you want answer though. 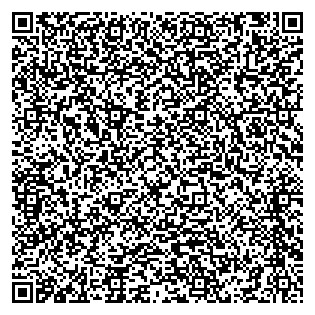 My PGP keyID is 123421B735578C46 but due to collisions better check the full fingerprint below or use the QR Code to import it to your device. My old keyID was 333E7C23, still active but should not be used anymore. Get my full PGP key from here directly or from the PGP Trustfinder PGP Trustfinder. As secure communications platform I have chose Threema. From independent audits, it looks like they are doing the right thing, and as they are in Switzerland, I can easily pay them a visit. One can ask for my Threema-ID using a PGP crypted message if wanted. Typically a customer specific email address will be available for the duration of the project. Please see the website of Massar Networking for more details. Ops-Trust - please use the well-known support queues, as it will likely concern the whole Ops-Trust Sysadmin team to make a timely decision/reply. Please see AQ: Any old email addresses? for old, and thus unused, contact methods.